"Visualisation of your Mail Inbox"
I found Gmail Meter when I was searching for a way to optimise my inbox . It kinda works like Google Analytics - just working with data of your mail inbox only. I like that everything is automated and basically you just have to look at the report that will be send to you. After a while you realise that most data generated is kinda useless. You should know yourself how much time you spend on answering your mails or who you communicate with the most. I wish Gmail meter would recommend more ways to optimise my time or at least sort my inbox within a clever algorithm so that I can spend less time on my inbox. Gmail meter is worth a look at, but it can not automatically clean up your inbox. At first the addon was pretty interesting to look at and I wanted to optimise my time spent on my inbox by analysing the data generated by Gmail meter. Though I deinstalled it after a while. "Mailing Statistics for free on Gmail "
First of all it is free to use and easy to implement in your Gmailaccount. Also easy is the handling of the tool. The features are nice and basic. Multiple small bugs but i think this is normal in the early phase of a tool development process. I had several mails shown as unread which were read. Also I get multiple alarms for an email that doesnt exist. But I think this bugs will be cleard out in the near future. For people that are looking for an easy tool to analyze their monthly email statistics I can highly recommend this free and fast tool. My brother and myself are working in the Insurance sector. We need statstics which of our customers has opened their mails and so on. It is crucial for our business. With GmailMeter we have a free and fast way to do this on a regularly basis. It helps us to find ways to improve our open rate and customer relationships. "Simple tool to rate your Gmail activities"
It is easy to integrate and runs in your Gmailaccount. You can try it for free. It analyzes your mailtraffic in a fast time. Sometimes I experience lags and after that a crash. But overall it does what it does. But "only" that. I wish i could track my other Emailaccounts too with this tool. Therefore I have to rely on more then one tool for my other Mailaccounts. Like I said above it is easy to install and also to integrate in Gmail, but as easy as the installation works is the tool itself. It offers only basic features. If you need a simple tool to evaluate your mailings on Gmail try this tool. The trial is for free. I analyze my Mailingstatistics with this tool on regular basis for several time periods. So i can make better decisions in the future regarding the way I communicate per mail with my customers and also potential customers. This works very easy with this tool but sometimes I want some more features. "Small tool with great possibilities for email statistics"
I like tools that are easy to install. This is one of them. It implements in your Gmail account via a small add-on. I think the developer team has not released an update in a long time. It would be a nice if the “team”-feature could be released because I want to share my statistics easier with my colleagues. Also, we could compare our statistics a lot better. When you are looking for a nice simple to use tool for free that gives you detailed statistics about your emails, use this one! I use it to have a monthly overview over my contact to customer and other clients. It shows me details and a statistic of my conversations, so I can improve some things like the open rate. "Basic mail statistics for Gmail accounts"
The fact that this tool is free to use for your Gmailaccount. It is very simple to get into it, even for people with minimal knowledge about mailing statistics. You can see and analyze the data quick and easy. I wish that there are more Mail accounts supported in the future, not just the Gmail one. Sadly on my mobile phone I can not view the statistics most of the time. But maybe it is my phone and not the tool. If you only need simple statistics for your Gmail account within a very short time this is your tool. Otherwise you should look for a more powerful tool with other features. Mainly I am an accountant for the city. My main work is not sales or anything but I often send out mailings for potential business partners regarding projects for the city. I needed a tool that did not have a high price and that simply analyzes my mailings. Gmail Meter fulfills both requirements and satisfies my needs at work. I really enjoyed using Gmail Meter while i worked at my internship. it was really easy to use. I really liked that customers were able to track their emails, merge accounts, and see how their mass emails were being opened, and reviewed. My company really benefitted from being able to track the emails that we were sending to our audience, and then revising our tactics to better reach our consumers. I would recommend that Gmail meter offers a training video to provide a quick overview on how to best utilize their services. i think it would greatly benefit their consumers. I also think that it may be helpful to have this work on people's phones. This may have already been established since I stopped using this for my internship, but I do think this would greatly benefit their customers as well. There isn't much training that goes along with Gmail Meter. There were times when the software shut down and would not be able to send me the analytics. But overtime this did get better so it may be completely fixed now. I would highly recommend using Gmail meter to track your business emails. We were tracking our email analytics as well as tracking to see how many of our business emails were being opened by our customers. 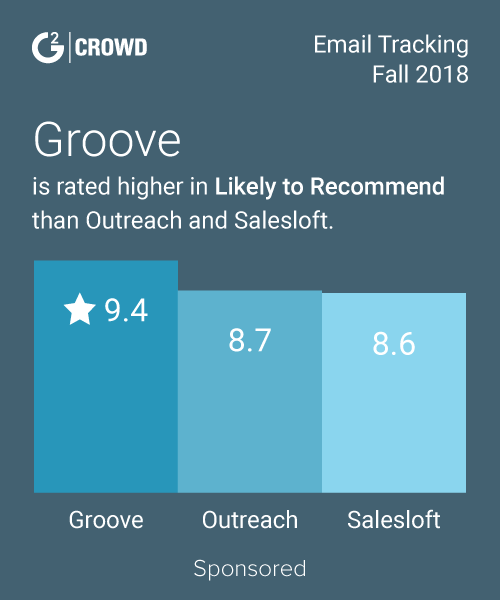 We wanted to see how we were tracking to better create engaging emails to help spread the word of our events at the company. "Assess key metrics and learn your email habits"
It is very easy to sign up for it. You can use it at no cost. You can export the data to Spreadsheet. You can easily share your feedback about the product. It provides less information than other email tracking softwares. It only allows you to track Gmail. You can try it at no cost. It allows you to assess key metrics and learn your email habits. Knowing the days and timeframes in which you receive more emails allows you to manage their reading and answering them. "Email metrics with a streamline format and concise data"
The metrics page is simply designed and very easy to understand. The info is interesting and does a great job of analyzing my personal productivity. Data is formatted cleanly and concisely. Very good for a quick glance at email/communicative productivity. I don't have any specific complaints; the information is simple and straightforward. I would like to be able to choose more specific time frames in which the data is taken. We are analyzing individual productivity. These metrics provide useful and concise data. "Helpful by providing insight on my emailing habits"
Helps me track and better understand my email habits. The detailed charts and information that Gmail Meter provides helps me analyze my emailing habits and improve my efficiency. The results don't have as much information as I would desire and expected. The tracking isn't super thorough and I wish it would provide me with more information and insights. It helps keep track of the number of emails I send and receive from week to week. I love Gmail Meter,it helps me see my email habits with very little effort and helps me know if my emails are being read and sent,which makes it so much easier to know when my emails are being read. I love everything about Gmail Meter,it does what it says it will do with very little effort. I would make it a little less expensive. To see my email habits and how they are being productive and read. Tracks where my email is with graphs and analytics. Not as insightful as I thought it would be. I thought the results would have more information. Definitely worth a shot to try out for yourself, it may be better for some than it was for me. None, I just use it. I thought it would let me see where I was sending the most gmails and where my work time was going., but it doesn't work very well. I don't like that it doesn't track what I want it to. I thought productivity - but not the case. "Good script for getting insights into my email habits"
it is a really good script for getting insights into my email habits. I use this to improve my email habits like cutting down on subscriptions and increasing my response rate. I have to give access to my mailbox. I would have preferred if this script was a Google Apps script which I could clone. Email analytics. Improvements in terms of cutting down on unwanted email subscriptions and becoming a better person in terms of responding to the emails. I love the detailed charts and info I get back in an email from meter. Knowing I have to turn my results in to management. This isn't a platform I analyze. I just use it. I think it's being used to gear towards solving problems that need to be emailed. * We monitor all Gmail Meter reviews to prevent fraudulent reviews and keep review quality high. We do not post reviews by company employees or direct competitors. Validated reviews require the user to submit a screenshot of the product containing their user ID, in order to verify a user is an actual user of the product. Hi there! 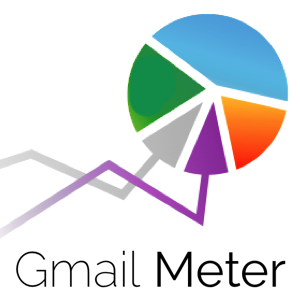 Are you looking to implement a solution like Gmail Meter?